LOS ESTUDIANTES (ORDINARIOS O SENIORS), PERSONAL O PROFESORES DE LA UDC, DEBERÁN PAGAR LA CUOTA DE INSCRIPCIÓN A TRAVÉS DEL CORRESPONDIENTE IMPRESO A RECOGER EN LA FACULTAD DE HUMANIDADES Y DOCUMENTACIÓN DE LA UDC. 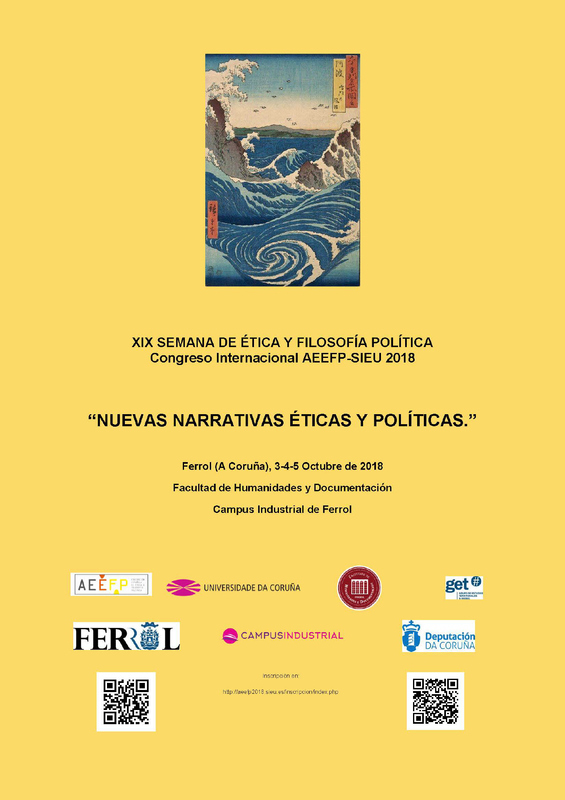 EL CÓDIGO DE INGRESO ES 200218 Y EL CONCEPTO "XIX CONGRESO INTERNACIONAL DE LA ASOCIACIÓN DE ÉTICA Y FILOSOFÍA POLÍTICA (AEEFP). DEBERÁN ENTREGAR LA COPIA AZUL DEL IMPRESO JUNTO CON FOTOCOPIA DEL CARNET DE ESTUDIANTE O JUSTIFICANTE DE LA CONDICIÓN DE ESTUDIANTE SENIOR EN EL BUZÓN HABILITADO EN EL HALL DE LA FACULTAD DE HUMANIDADES Y DOCUMENTACIÓN. Last updated on miércoles, 5 de diciembre de 2018 at 12:12:04 . Hits today: 29 - total: 12464.